Repetition is always for the emphasis sake so that you don't see this as repetition, also from two or three witnesses all shall be justify. 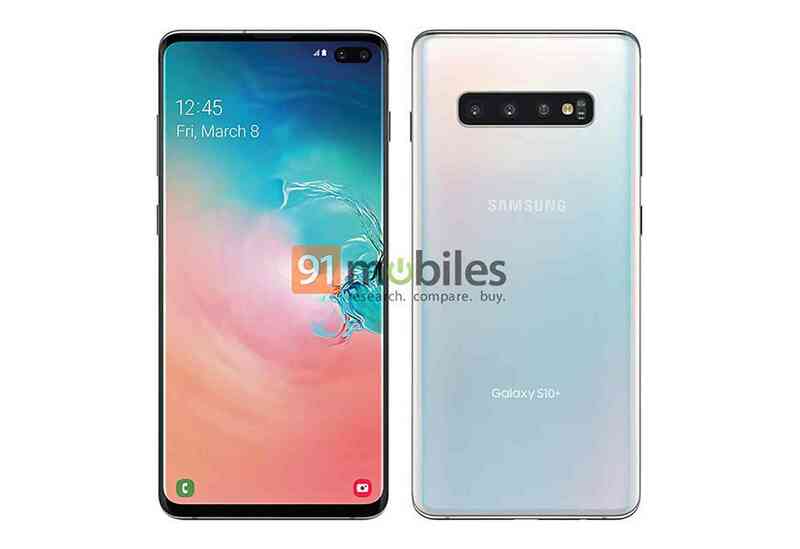 Don't forget we've talked about this severally launching this will add to the previous story about Galaxy S10 according to what sighted on WinFuture but this one is coming from 91mobile so as to clear your mind on this. However whether its coming from several pages the truth remains that all talk about the same feature. If you can remember vividly, we talked about two camera setup at the front and this article has confirmed that as well. Galaxy S10 and Galaxy S10+ has similar feature in-fact you get confuse when you want to buy except you're quite sure of what you're getting, let me clear your head as touching this, they both have sleek body but you can always get them justify by the camera setup at the front, get it clear their different can't be discover looking at it from the back because they have the same physical appearance. Have this as well, GS10+ has a large display with rounded corners and slim bezels, a pill-shaped hole-punch in its upper right corner with dual front cameras, and a triple rear camera setup which you'll als find in GS10 so don't get it twisted. Meanwhile you might notice not fingerprint reader just like Galaxy S9, Samsung promise coming with in-display fingerprint sensor which is more preferable to normal fingerprint reader. I hope this is clear and well justifiable irrespective of the source its coming from, they all talked about the same features so nothing else, relax, cross your leg as you have it announce at an event on February 20. Are you prepare to buy?